A holistic approach to dental crowns can prevent many issues associated with traditional dentistry and the use of metals in a dental tooth crown. Taking a healthy and natural approach to dentistry can enhance and preserve your smile for years to come. It is a common practice for a dentist to use crowns made of metal alloys or porcelain fused to metal. The problem with metal is it can cause allergic reactions in some people; much like a ring that leaves a green mark on your finger. Metal restorations are unattractive and because metal oxidizes over time, your restorations can break down. This is why we prefer to use metal-free crowns in our Santa Monica office. Porcelain, or all-resin crowns match your natural tooth color, blending nicely with surrounding teeth. 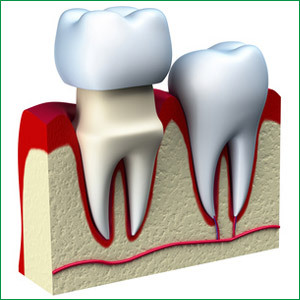 There is no metal in porcelain or all-resin crowns thus taking the metal allergy out of the equation. What type of metal does a dental crown contain? 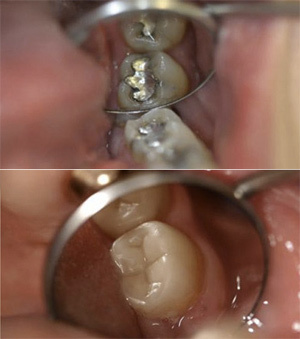 Metal dental crowns contain different types of metals including gold, palladium, platinum, nickel, and chromium. Though metals can allow for an accurate fit, strength, and a good amount of malleability, metals in the mouth have been shown to produce voltages in the oral cavity when mixed with saliva. These currents have been shown to interfere with the normal wave patterns within the brain, which can affect the body’s systems. Crowns containing metal are also more visible than metal-free crowns.These reasons have prompted us to move toward practicing dentistry with metal-free materials. Gain insight into our holistic approach to your dental care and begin learning a natural style of dentistry. 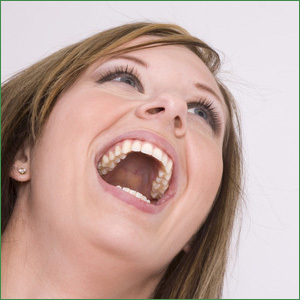 Find out how we can help you obtain and maintain a fabulous natural smile.